Water, water, everywhere, but not a drop to drink. 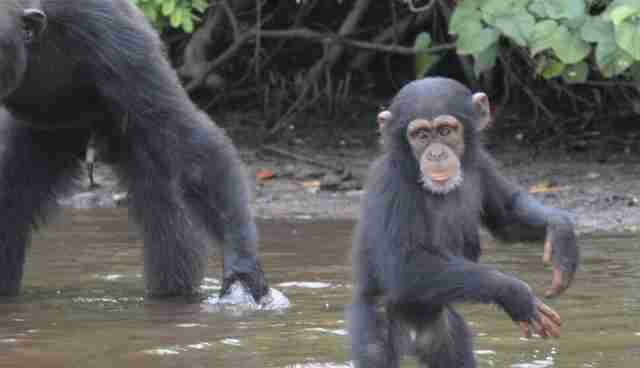 That was the dire situation facing a colony of former research chimps when the New York Blood Center (NYBC) decided to leave them on a cluster of islands near Liberia with no food or water. 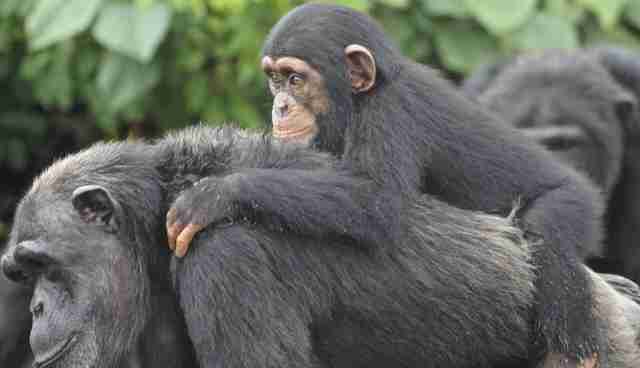 Finn, pictured above taking a ride on the back of his mother, Anita, is part of the newest generation of chimps in this colony. In 2005, NYBC left the chimps here once they were no longer needed in cruel research experiments. For the next several years, NYBC paid for their survival by arranging regular shipments of food and setting up systems to provide fresh water to the island, which otherwise only has drinkable water half the year. But in the spring of 2015, the center unapologetically pulled funding for the chimpanzees and effectively left them to fend for themselves. Many critics, including Dr. Jane Goodall, saw this decision as an act of cruelty against the colony, which depended entirely on human care for decades, and, in the case of many chimps like Finn, their entire lives. The shipments of food came to an abrupt stop. The water systems were left in disrepair. Against all odds, the chimps survived. "The success in their survival with very little food, broken water systems and no one regularly visiting them on the islands during the months after NYBC pulled support is truly remarkable!" Jenny Desmond of the Humane Society of the United States (HSUS) and Harmony Fund told The Dodo. Along with her husband, Jim, and her trusty dog, Princess, Desmond has helped HSUS lead a coalition of animal welfare organizations that has provided emergency care for the chimps. 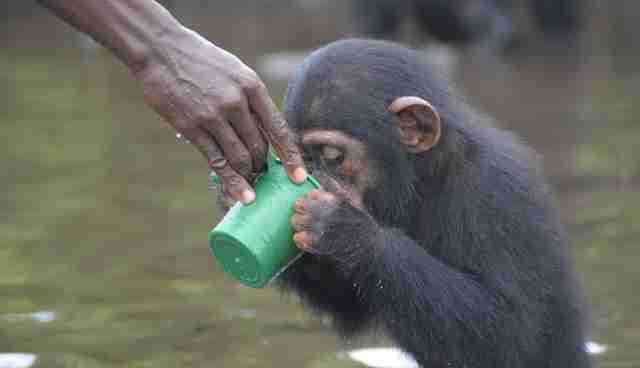 When rescuers first arrived, they knew they had to fix the water systems, but first they needed to get water to the chimps the fastest way they could. As it turned out, that was serving them water by hand, as they did for Finn in the photo below. Since then, the coalition has successfully installed functioning water systems and provided food on a daily basis for the abandoned chimpanzees. 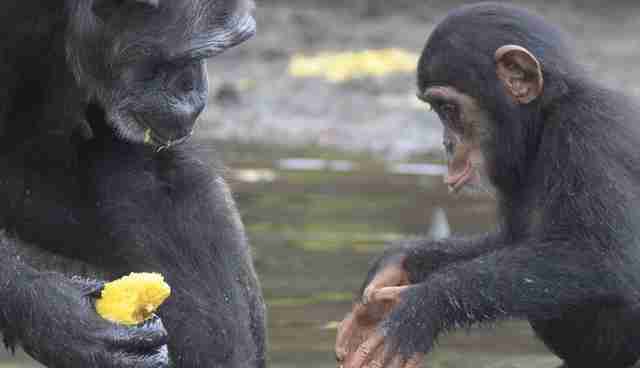 Now that they don't have to worry about basic survival, the chimps can go back to more rewarding activities, like spending time with their families and playing. 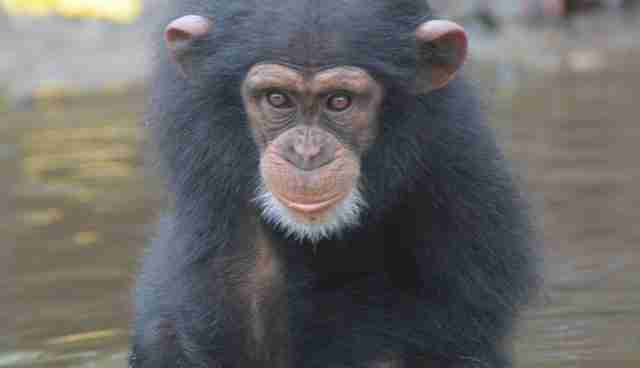 For Desmond, that's meant getting to see Finn's personality grow into a lovable young chimpanzee. "He never fails to make us laugh," Desmond said. "Especially with his love of twirling around in the water, playing while the food is delivered." "He is very good at snatching his favorite foods," she continued. "Even though at this age, he doesn't separate from Mom much, if he gets something really, really good I have noticed he will run with it and eat it hidden in a secret little spot to ensure he keeps it all to himself." "Although he is getting quite big, he still insists on riding on Mom's back most of the time," said Desmond. Thanks to the fast-acting coalition, as well as generous members of the public, these chimpanzees will no longer have to forage the islands for resources that aren't there. 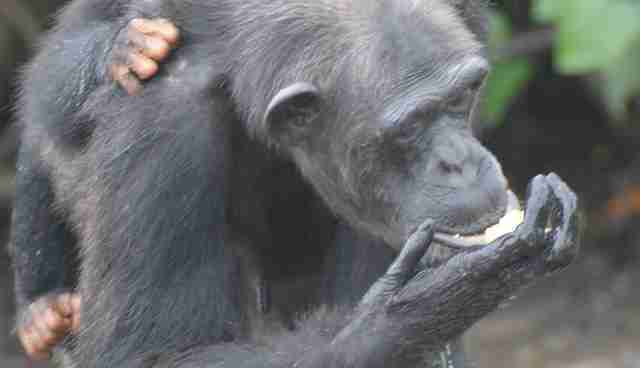 With plenty of food, water and medical attention, these chimps can finally have the life they deserve. But caring for these chimps isn't a short-term project. Chimpanzees like Finn can live to be more than 50 years old and the monthly cost of caring for the colony is about $30,000. 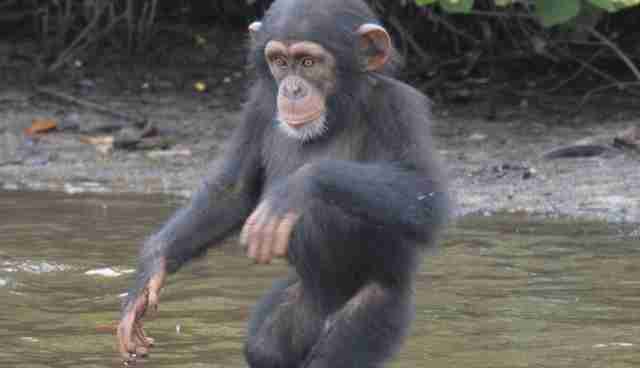 Support the long-term care for these chimps by visiting their GoFundMe page.